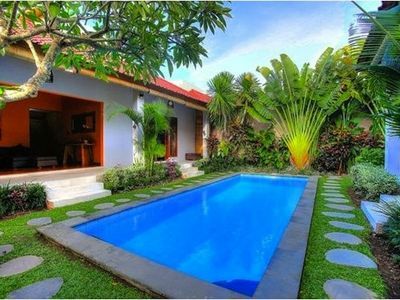 Bali Exception Villa Management offers you a luxurious and relaxing getaway in the quiet and peaceful district of Umalas, just minutes away from the beach and all the happenings in central Seminyak. 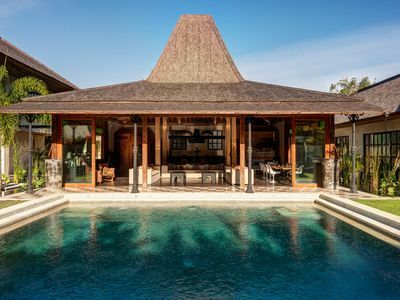 Inspired by traditional Javanese elegance, this Joglo-style villa is well appointed with a large private pool lined with manicured gardens. 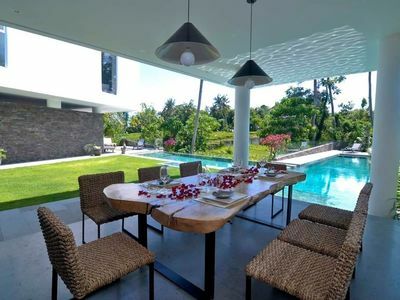 Tropical wood interiors, stylish artworks and abundance of natural light characterise this villa, making it a cozy sanctuary for your well deserved Bali holiday. 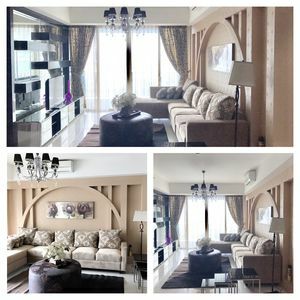 Enjoy the fresh air from the semi open living area, bask in the sun by the pool or dish up your own home-cooked meals in the fully equipped kitchen. 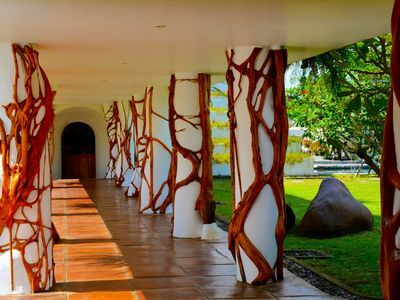 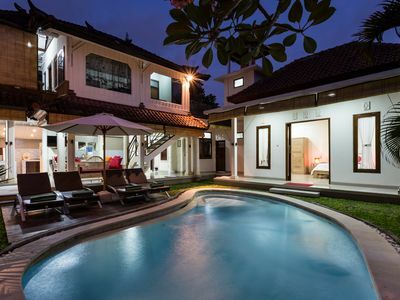 This villa is designed to make you feel the comfort of home with a touch of luxury. 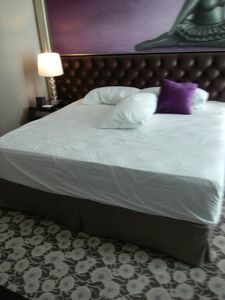 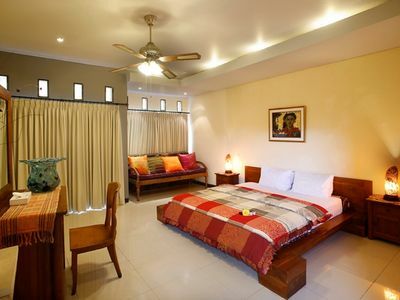 Each air-conditioned bedroom is beautifully fitted with an en suite bathroom, plush bedding and floor-to-ceiling windows overlooking the lush tropical greenery. 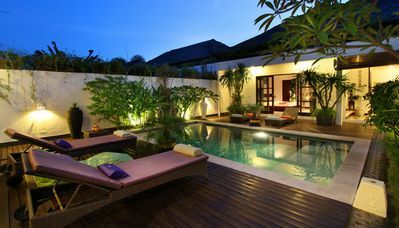 Wind down after a long day of travels and activities in the cozy corners of the villa, each comes with a comfortable seating area and warm lighting. 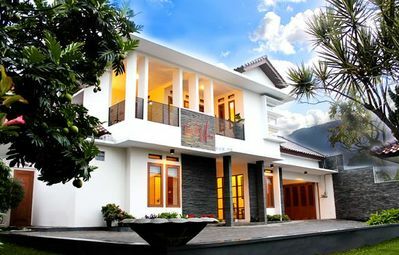 Those who prefer to stay in can enjoy the comfort of the villa's very own home theatre, which is equipped with high-tech entertainment system and lavish sofas. 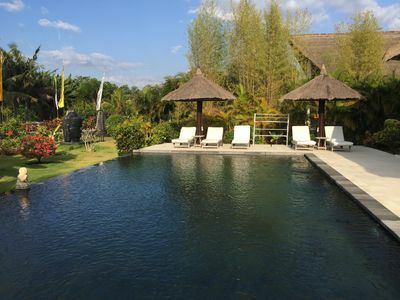 This place is perfect for couples getaway, family gatherings, office outings or simply a group of friends looking to relax and have fun. 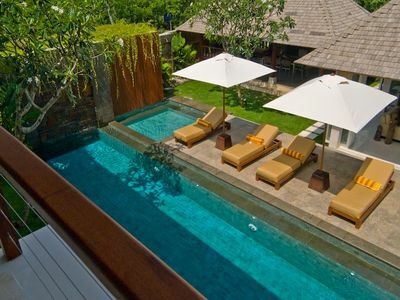 You will get the entire space for yourselves to enjoy. 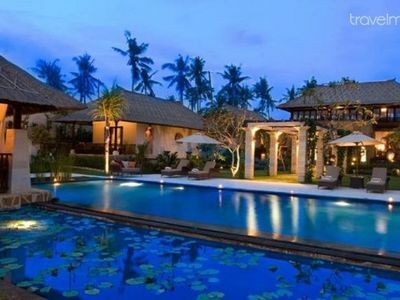 The staff have their own quarters and will remain out of your way when not assisting you. 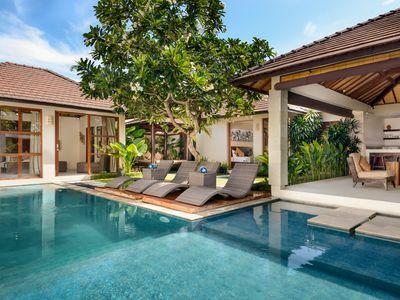 You will be able to contact our team throughout your stay, however you will also have a personal guest manager that will be able to offer you assistance with booking trips, restaurants and generally making sure you have the best experience. 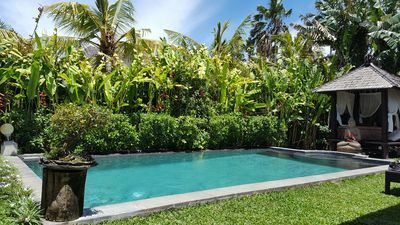 You can request for airport drop-off, we will be happy to arrange that for 30 USD for 1 car (1 car usually fits 5 people without luggage or 7 people without). 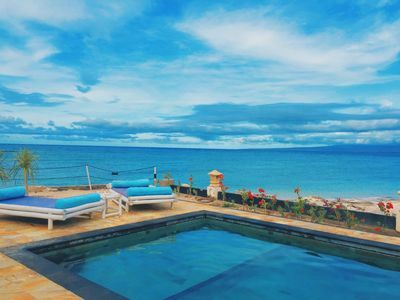 - Driver: a 6/7 passenger car can be used up to 8 hours a day with driver, taking you all the places you would like to visit (prices: starting 350,000 IDR up to 750,000 per car). 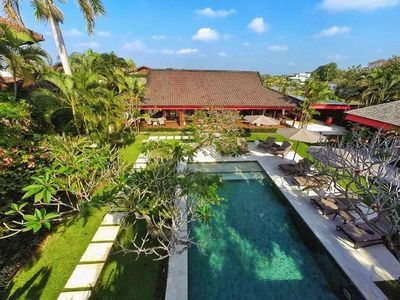 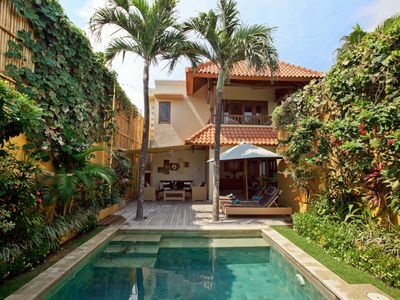 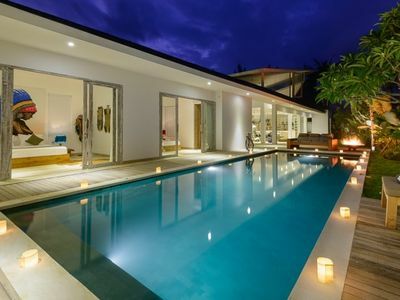 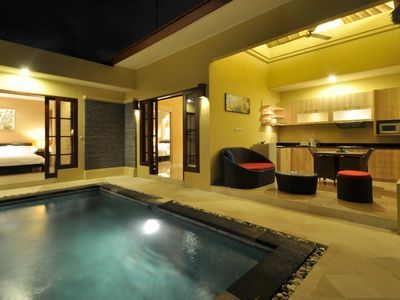 Perfect 3BR Villa in Central Seminyak!